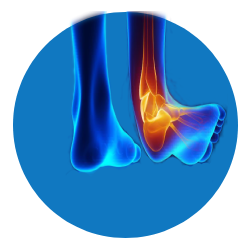 Ankle is a joint where leg meets the foot.The bones of the ankle joint are held in place by very strong ligaments. With severe trauma, these ligaments will tear or pull the bones creating a space between bones. Open reduction and internal fixation with plates and screws.